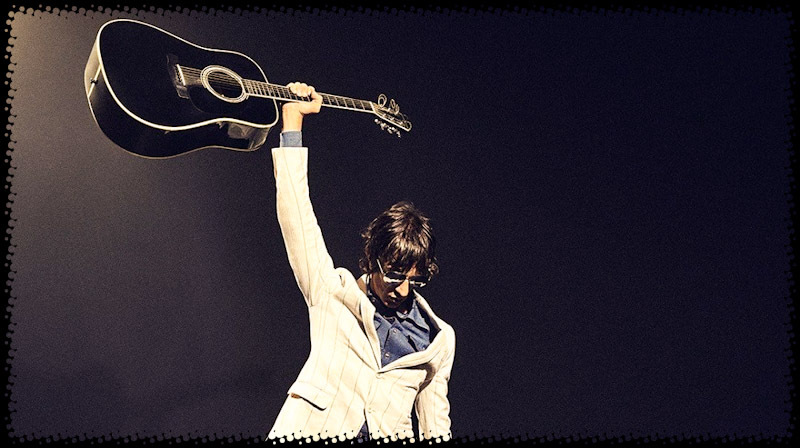 The king of the melody Richard Ashcroft returns with his fifth solo album ‘Natural Rebel’, I guess you could say this is the sixth album if you include ‘United Nations of Sound’. ‘Natural Rebel’ comes only two years after Ashcroft’s long-awaited return with ‘These People’ back in 2016. Richard has already released three tracks from the album with the bluesy ‘Born To Be Strangers’, the people pleasing ‘That’s When I Feel It’ and the positive, summer tune ‘Surprised By The Joy’ which was received with an undeserved mixed reception. 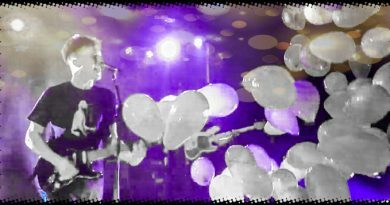 The album starts off with a similar vibe to the latter track in the tunes ‘All My Dreams’ and ‘Birds Fly’, these songs give you a feel of where Richard is mentally at the minute and this is a really happy and positive place. 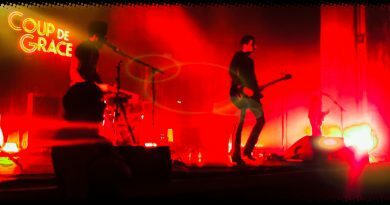 Over the summer Richard Ashcroft played gigs with his friend and now solo artist himself Liam Gallagher. 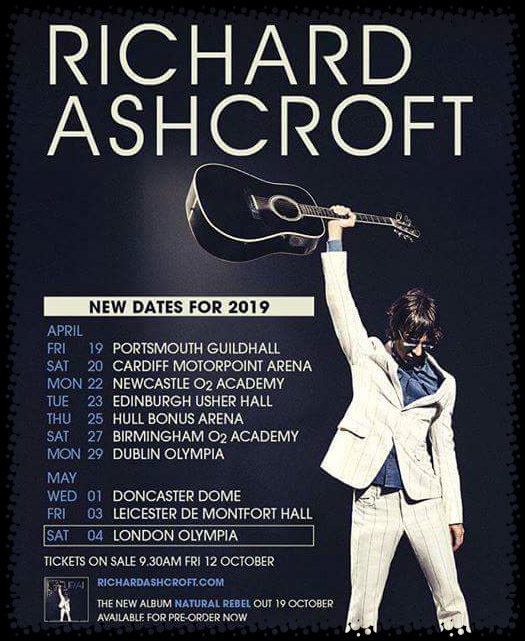 On these dates Richard picked up a new army of followers, I guess you could say ‘The Parka Monkeys’ but with the first half of the album, it feels like Ashcroft is already trying to brush them away and although these tracks do blossom into something beautiful the second half is where Richard gets down to business with the more traditional Ashcroft anthems. Richard Ashcroft is without a doubt the greatest vocalist alive, the guy can bring you joy, make you cry and command every hair on your body to stand on end. 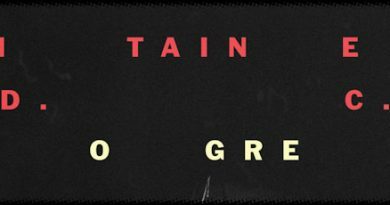 The soulful ‘We All Bleed’ is the big ballad moment on the album that demands your full attention. The backing vocals are both subtle and beautiful with the chorus almost hitting the levels of ‘The Drugs Don’t Work’. This track is going to be a powerful moment during Richard’s live set. It is hard not to hear The Verve in Richard’s work and I guess to a degree we want to hear elements of this too. If The Verve is what you are looking for then ‘A Man In Motion’ is going to be the track for you, it has a very ‘Urban Hymns’ vibe and feels like it could actually be a lost track from that 1997 era. Finishing the album off with the dreamy ‘Streets of Amsterdam’ which transports you to a smokey coffee shop in the City of sin itself and the heaviest track on the album ‘Money Money’. Think the Stones ‘Gimme Shelter’ and you won’t be too far away from ‘Money Money’. ‘Natural Rebel’ is another strong album from one of the greatest songwriters of his generation. Richard Ashcroft is the most prolific he has been in years with his songwriting, releasing the non-album track ‘Hey Columbo’ before releasing the album shows that he has songs bursting out of him at the minute and he is in a brilliant place.